At Staffordshire Brickies, we offer a lot more than just bricklaying. In addition to our core service, we can install or repair paving, roofing, fencing as well as groundworking and general building maintenance. Very few of our local rivals can boast of such a wide range of services and even fewer have the amount of experience as Staffordshire Brickies have at our disposal. We will see your project through from start to finish and use only the very best tools and equipment to get the job done on time and on budget. With the good weather finally here, it is the perfect time to get round to those maintenance jobs around your home or business. Our comprehensive repair service means we can fix your roofing, paving or fencing to get it back in top condition. If your fencing is crumbling or falling apart, it can become a dangerous safety hazard and the long left unattended, the more it will cost. 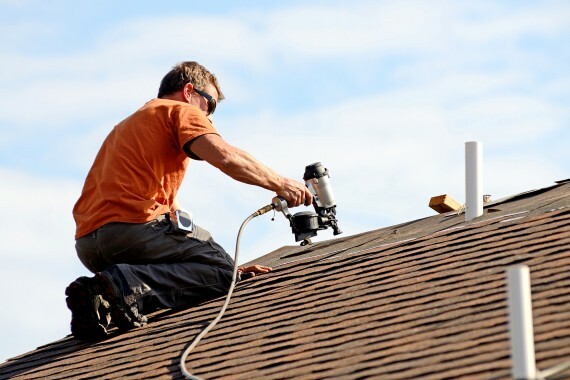 The same applies to roofing, which can cause no end of problems for your entire property if not regularly maintained. We can also get your paving back up to scratch to ensure it looks as good as the day it was laid. It doesn’t matter if the brickwork was installed by someone else, we are more than able to repair and maintain it. Staffordshire Brickies can come and visit your property to discuss your project in more detail and take a closer look at what you need doing. We will assess the costs and give you a no obligation quote. We operate throughout Staffordshire including Stoke, Leek and Newcastle-under-Lyme. If you would like to know more about any of our services then give Andy a ring on 07976282878 today. You can also get in touch about our bricklaying work here.